Good news! 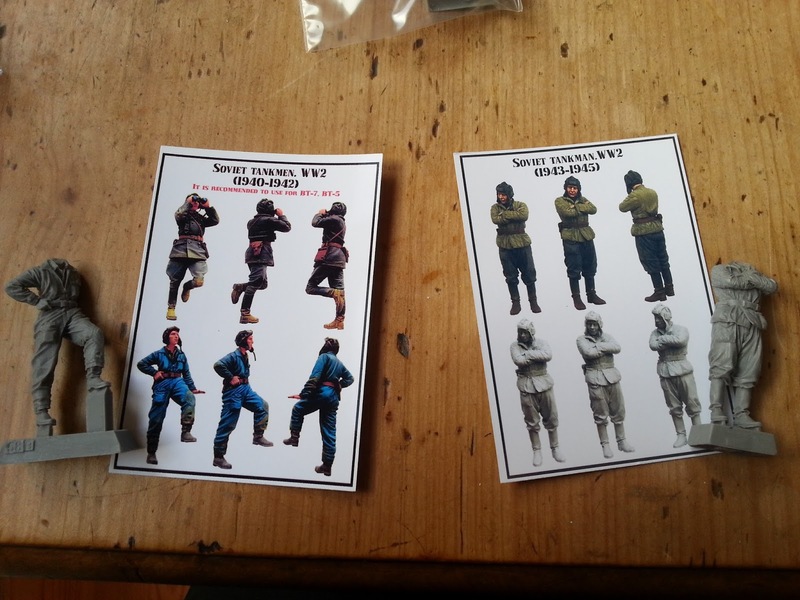 The rest of the resin figures for my SU-122 diorama have arrived this afternoon. They are Evolution Miniatures figures in 1/35 scale, and they are just little works of art. On first inspection, I really cannot praise them enough. Crisply moulded, beautifully packed, little to no flash to deal with. 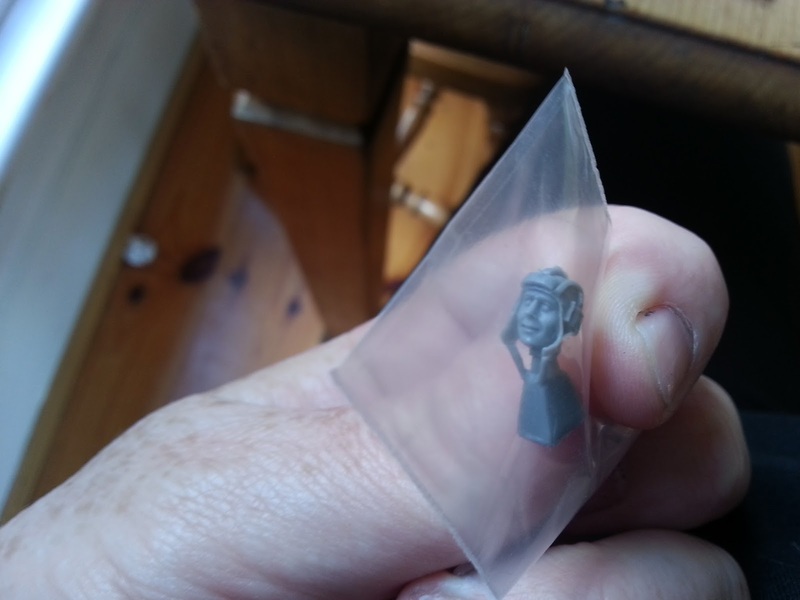 The arms and heads look like they will go into position with a minimum of fuss, which is a win compared to my other recent resin purchase - there was a lot of filler required around the shoulder joint of one of the tank crew. I love the natural drape of the fabrics. I have included a link at the end of this post to where you can purchase these guys on Amazon. For the detail, I really do recommend the additional cost. Just look at that crisp detail. Just look at that beautiful detail in the face and helmet. So I will now be preparing these chaps (see here for my video tutorial on prepping resin figures) and starting the adventure that is painting! I'm going to try to do a video on how I paint faces, as I know that this is one of the most challenging of all modelling skills. All I can say is that it involves good paints and practise, practise, practise. I'm excited to get stuck into these guys. Hopefully I find the time this weekend - model making time with a 4 year old is always a luxury. Until next time, keep experimenting.